THE F1 GEARBOX—A SIX-SPEED MANUAL SYSTEM IN WHICH ALL THE SHIFTING AND CLUTCH WORK ARE DONE BY ELECTROHYDRAULIC WIZARDRY—LETS YOU DEVOTE FULL ATTENTION TO YOUR PATH, WORKING THE PADDLES WITH JUST YOUR FINGERTIPS. 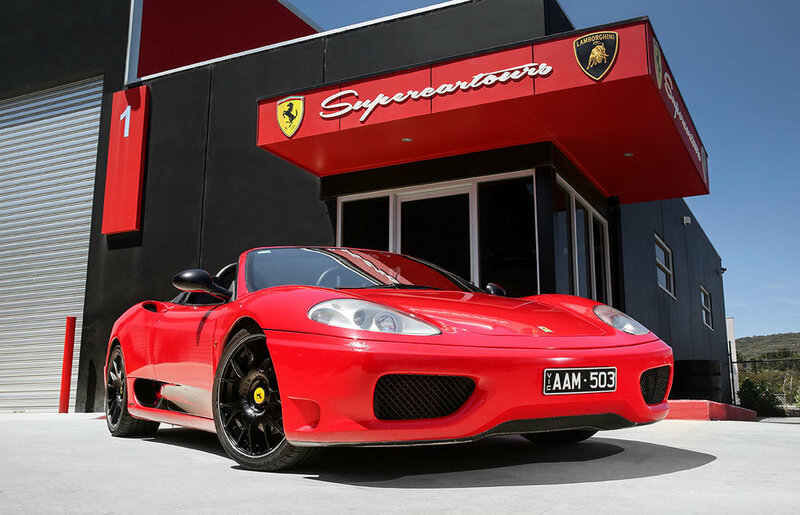 The first model of the 360 to ship was the Modena, named after the town of Modena, the birthplace of Enzo Ferrari. Its six-speed gearbox is available as a 6 speed manual, or F1 electrohydraulic manual which was only offered after late 2000. The Modena went into production in 1999 and remained in production until 2005 when it was replaced by the F430. The Modena was followed 2 years later by the 360 Spider, Ferrari’s 20th road-going convertible which at launch overtook sales of the Modena. Other than weight, the Spider’s specifications matched those of the Modena almost exactly. The 360 provides all the raw driving pleasure of its predecessor:the V8 performance is nothing short of awesome; the heart-racing acceleration matched only by the glorious soundtrack that accompanies it. Thanks to the mid-engined layout, the balanceand poise are superb. Where the 360 improves on the past, though,is in its refinement. When your right foot isn’t making every effort to make the engine howl, the 360 is an impressively civilised supercar. With build quality and interior finish also being a vast improvementon older Ferraris, the 360 is an incredible machine.